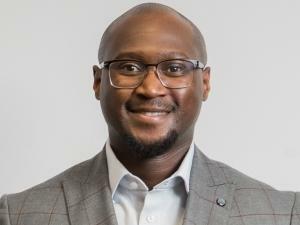 SMEs need to develop their own unique formula for success in the digital economy, says Lindile Xoko, GM for SMEs at MTN Business. SMEs are serious business, says Lindile Xoko, General Manager for SMEs at MTN Business. Currently, SMEs contribute 36% to South Africa's GDP, but within the next 10-15 years, this figure could be as high as 50%. The power of the SME, according to Xoko, lies in the fact that they have the ability to stay small, yet have a bigger impact on the economy relative to their size, when compared to large enterprise. The secret to their success and growth, he believes, lies in their ability to use technology to 'play big', and tap into the digital economy, which is worth an estimated R60 billion in South Africa. "A key consideration is how to bring your business online and which of the available tools will work for your business. "In the digital economy, we have innovations like the Internet of things and artificial intelligence helping us to do business better. In order to grow, SMEs need to find a way to tap into and participate in the digital economy and the opportunities that it presents." This is all well and good, but what exactly is the digital, or Internet, economy worth? According to Accenture, the digital opportunity could help raise South Africa's GDP by almost $12 billion, a 3% improvement on current GDP figures. Of particular interest to SMEs is that while 89% of large South African companies recognise the importance of collaboration, 11% of large companies' total revenue is generated through collaboration with start-ups or entrepreneurs. This figure is predicted to rise to 21% over the next five years, all of which presents a tremendous opportunity for SMEs, says Xoko. "Big organisations can't be agile, so they need start-ups to innovate and introduce new products, which can then be taken to market in partnership with big business. Collaboration is key to innovation and agility; the SME brings the agility and innovative culture, whereas the big enterprise brings the market, the brand and the resources for scalability. Each needs the other." He points out that large companies were all start-ups at some point; the trick is in identifying the right partners to collaborate with so each can benefit from the other's strengths. "It's a case of disrupt or be disrupted if you want to survive in the digital economy. Large business can't afford to be blind-sided by younger, smaller and more nimble organisations that are coming to market with innovative solutions. Partnerships are key to remaining relevant, as the thing that made you successful today won't necessarily keep you relevant tomorrow." It's clear that SMEs need to prioritise the more efficient use of technology going forward, but how they get there is a unique journey for each SME. However, the three biggest obstacles to growth in an SME have been identified as finding and retaining new customers, hiring and keeping people with the right skills, and operating the business efficiently, all of which can be enabled using technology such as AI and IOT. Xoko talks about a concept that he refers to as "sales at the speed of currency", which is essentially the ability to deliver service at the same speed that you are able to receive payment for that service. "If your service is slower than your ability to receive the cash, then you'll have drop-offs in sales, as people demand and expect instant gratification." In order to achieve this optimal state, SMEs will have to change how they do things, and the change has to be ongoing and incremental. The first step is to define the formula for their success, know what they did right and replicate it. The rapid replication and proliferation of lessons learnt, both good and bad, while using technology as an enabler of growth to create a digital ecosystem, is key. Xoko continues: "Ongoing evolution is fundamental and key to SME success and to their continued existence. Customers' needs will change at the speed of currency; if you don't change at the same rate, you'll become obsolete. And merely responding to disruption is no longer sufficient, you have to innovate and be ahead of the technology curve. "Millennials are changing how products and solutions are consumed, and businesses have to service them in the time, place and manner of their choosing. That's the benefit of digital, your business is available 24/7 without any geographical limitation. If you can sell to one customer, you can conceivably sell to 1 000, you just have to replicate what works for that single sale and use technology to scale."